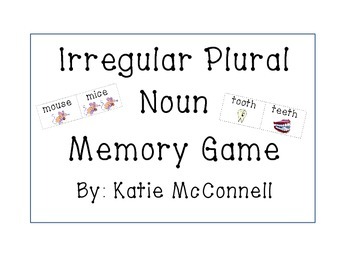 Enjoy this game that reviews irregular plural nouns with your students individually, in small groups, or in centers. Pictures have been included on each card to support beginning readers. To play: Put all cards on playing surface face-down. One student goes first. They turn over 2 cards. 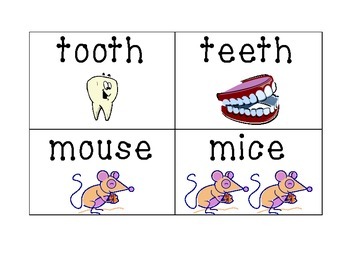 If those cards have a plural noun with its matching singular noun they may keep the pair. The next player then takes a turn by flipping over 2 cards trying to make a match. Players take turns until all matches have been made. The player with the most matches is the winner!